Etched deep within Keller Williams Realty’s culture, is the deep desire to give back to the communities we serve. 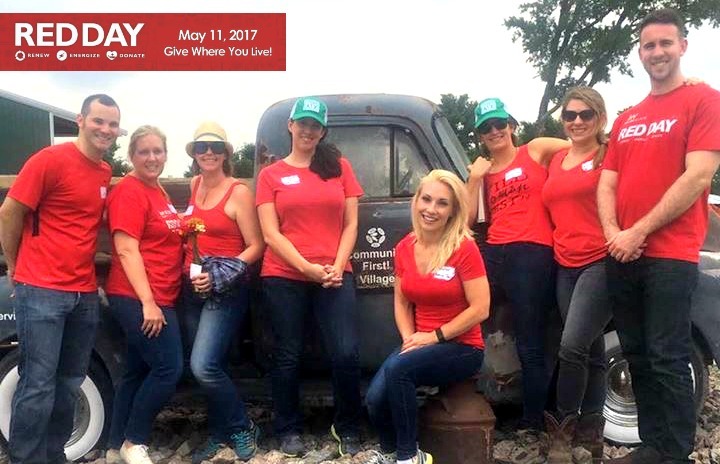 To help honor that commitment, for the past 8 years the second Thursday of May is celebrated as “RED Day” by all KW associates. This year, our Austin team spent the day at Community First! Village helping with various tasks ranging from picking seeds from cotton for their fiber arts program, reorganizing storage closets, and tidying up the grounds. If you’re not familiar with Community First! Village, it is a 27-acre master planned community that provides affordable, permanent housing and a supportive community for the disabled, chronically homeless in Central Texas. A development of Mobile Loaves & Fishes, this transformative residential program exists to love and serve our neighbors who have been living on the streets, while also empowering the surrounding community into a lifestyle of service with the homeless. Community First prides itself on being a safe place where the chronically homeless can rediscover hope, renew their purpose and restore their dignity. It was only fitting that we chose their organization for our Red Day encouraging associates to renew and energize as well. Our special day was full of opportunities to recharge for both the Community First! residents, staff, and our team. 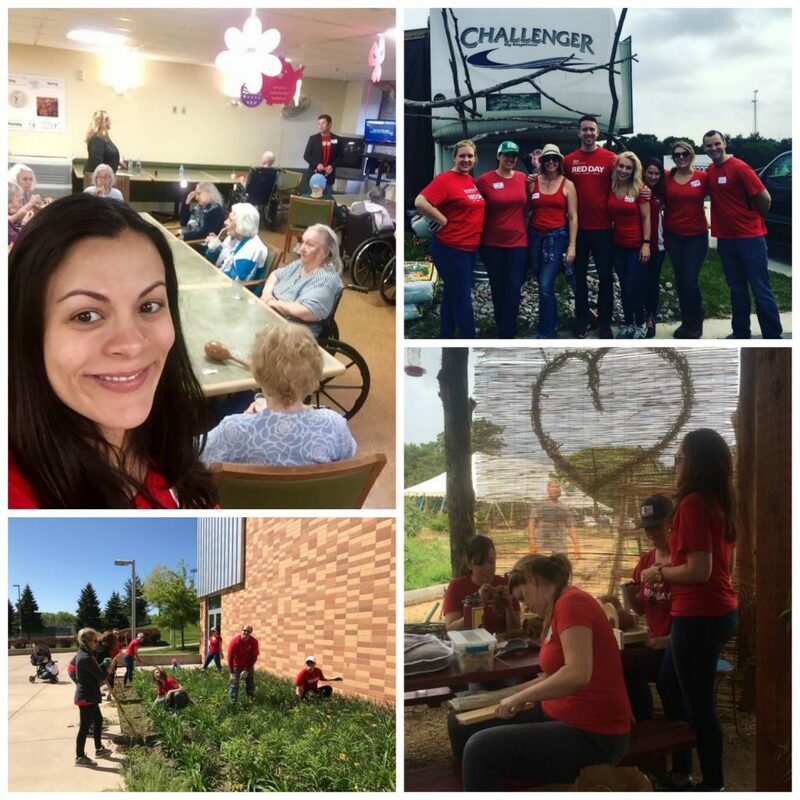 Our expansion teams in the Twin Cities helped their communities by landscaping the local Middle School and our St. Louis team entertained seniors with a fun day of karaoke and laughter.